Anyone who lives in a cold weather climate knows as cold weather sets in, there are a number of things that need to be done in order to prepare the home and garden for the rough conditions ahead. 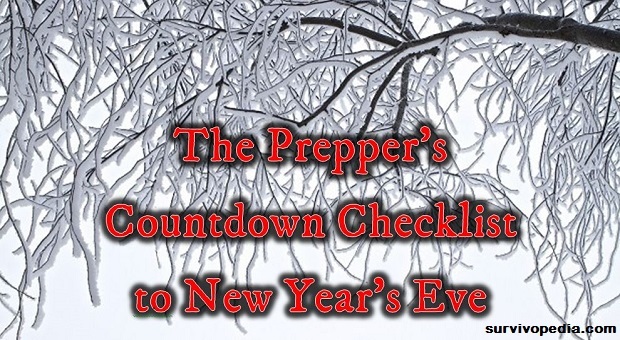 We found this article about winter preparation at survivopedia.com which gives a checklist of things to get done between now and New Year’s Eve. Thanks to the folks at Survivopedia. “As November gives way to December and the last of the warm weather fades, it’s time to make sure that all is in order in case of emergency. “We’ve made a list to help you get ready to settle in for the cold months to come so that you’ll be ready for an emergency through the winter, and ready to start anew in the spring. “Let’s see what our tasks are this month. Read them below, then print the calendar at the end of this article, and use it to complete these preparations one by one! “Whatever type of fuel you use, take a few minutes today to double check your fuel supply. “You may have central air, but since you’re a prepper, you also know the importance of having a back-up heat source and plenty of fuel. If you use propane heaters, make sure that they’re in good working order and that you have plenty of fuel.